“Pet Partners’ mission is to improve human health and well-being through the human-animal bond.”Pet Partnersis a national therapy dog organization and is considered “gold standard” of all therapy animal organizations. 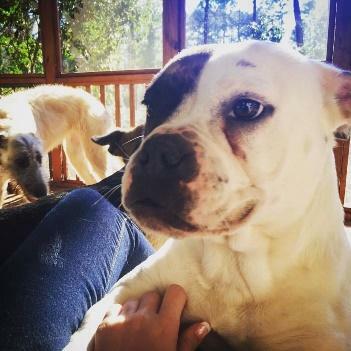 Pet Partners of Greater Atlanta is one chapter of the national Pet Partners organization, who is striving to create life-lasting relationships between animals and people. Johnson’s Bulldog Charlie Taylor Johnson works with Pet Partners on as a professional at the national level. She has been involved in the dog world a long time. At a young age she began working at doggie daycares. She received her undergraduate degree in animal behavior, her masters in mental health counseling, and her doctorate degree in human and animal bonds. She has twelve dogs, three of which are therapy dogs her Border Collie, Rex, her Miniature Poodle, Ivy, and her Bulldog, Charlie. One of their therapy animals When training therapy dogs, owners can bring their dog in to see if he or she would be a good fit. Johnson and her team watch for the dog’s temperament and take them on field trips without a vest to see where they best thrive. 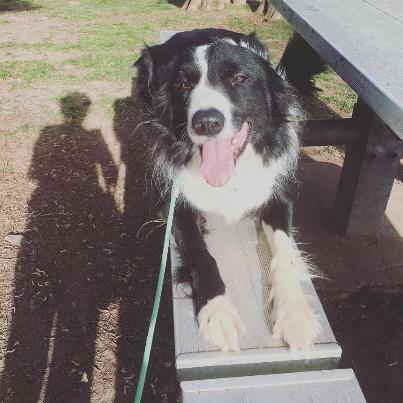 Pet Partners have found that different types of animals work better in different situations, so they also work with animals such as mini pigs, goats, horses, llamas, rabbits, cats, and rats. For example, rabbits tend to be good for victims who have suffered trauma. Johnson explains that “Rabbits are animals that are preyed upon, so for someone who feels they have also been preyed upon recently, comfort can be better received than with a big german shepherd.” When they go into corrections facilities they typically take dogs that are authoritative looking. For example, inmates will respond better to a german shepherd than a poodle. In hospital situations Pet Partners will take in therapy dogs that shed less because of the health risks, and when they bring a therapy dog in a school they usually bring dogs who tend to be less energetic and won’t knock down a child. 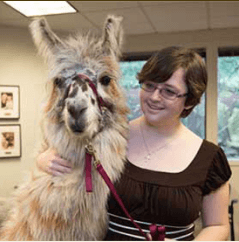 There are many obstacles Pet Partners face when working with therapy animals. 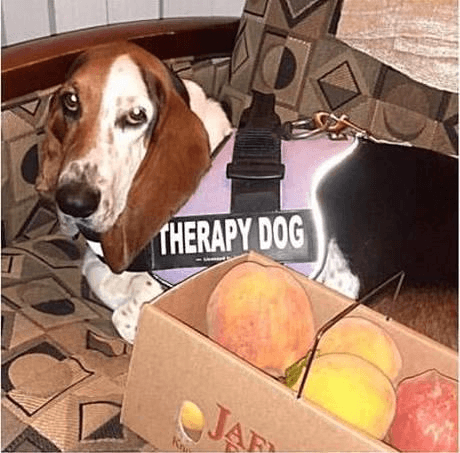 An important goal in therapy training is to prepare the dogs to face the unexpected and to practice positive responses to a variety of sounds, equipment, and situations. An overly excited dog can knock down a patient, and a scared dog can make a hospital trauma a more dangerous situation so it is required for the dog to be prepared for these situations. 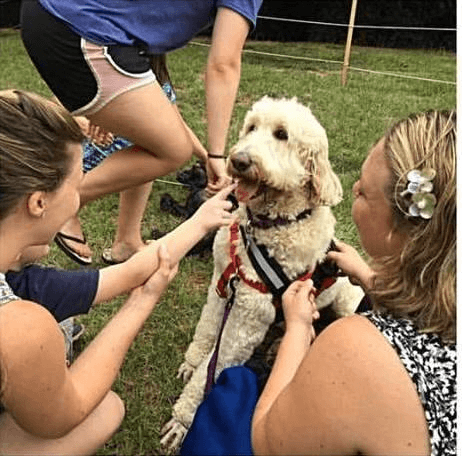 A good therapy dog at workPet Partners as a national organization has experienced recent growth in the Greater Atlanta area. The local branch has merged with the national organization to brand themselves in this market. They went from virtually having no therapy teams to having twenty-three teams in the past 16 months. Johnson says, “We can’t keep up with the demand for more therapy animal assistance with groups.” On a national level, there is a large need for therapy dogs in hospitals, interventions, and schools, as well as corporate wellness events and for grief therapy. They also have have a lot of requests for college visits for students to destress around finals. Therapy Dogs or Service Dogs? One of their sweet therapy dog Many people think that therapy dogs and service dogs are the same thing. 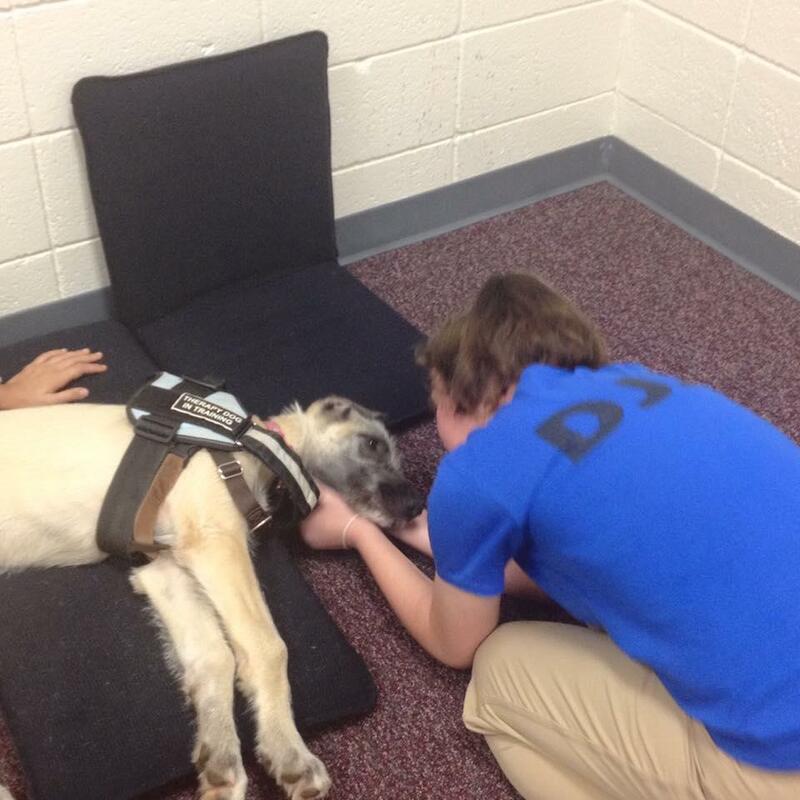 However, service dogs work more on commands to help an individual with hearing, visual, or mobility impairment, seizures, or a mental disorder. Service dogs live with their owner and are trained to help to that one individual with that one particular impairment. On the other hand, a therapy dog lives with their owners and are taken to particular events. Once they are there, the therapy dog loves and plays with the people and then they go home. A therapy dog’s goal is to share love with as many people as possible. They are expected to lovingly engage with the human they are with in that moment. They want them to “organically interact” with people. Pet Partners do not train service dogs but focus on therapy dogs. When people do call looking for a service dog they refer them to the organization Animals Deserve Better in Marietta. There are many positive effects of interacting with therapy dogs. 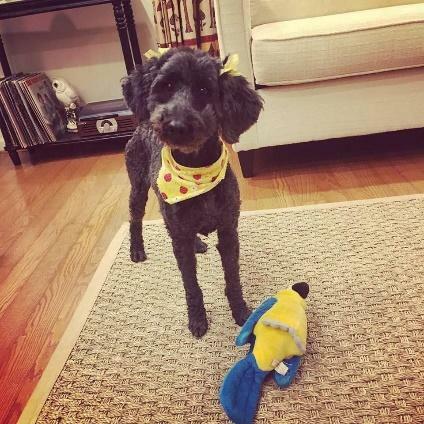 One day Taylor took her Miniature Poodle Ivy to the nursing home in the memory care unit. Most of the patients there don’t remember their daily caretakers or even their own family but when she walks in people recognize and call out “Ivy!” and give a big smile. “It is just crazy how they remember her.” That day there was one particular lady who was petting Ivy and they were having a moment. She was speaking her thoughts out loud and said “It feels so good to be loved, sometimes you feel like nobody loves you but you know they do.” It is an unique experience to see therapy dogs help people process what they are dealing with. There is a great need for therapy animals all over. Each event is special and full of amazing moments for both people and pets. looks forward to seeing you there! For more information visit about Pet Partners visit their website or for more information about Rescue Dog Olympics visit their Facebook page.